Key difference: The key difference between the terms ‘side effects’ and ‘adverse effects’ is that during medication the side-effects of a given drug can be predicted or determined from the start, whereas the adverse-effects are unexpected and cannot be determined until they show their indications on the body. 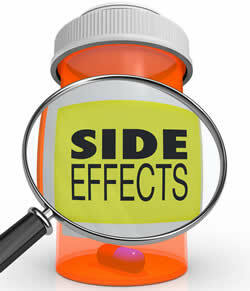 The terms ‘side effects’ and ‘adverse effects’ are widely used medical terms by doctors, nurses and chemists, etc. Both these terms are used to refer to the undesirable symptoms or after-effects of medicines on a patient. These terms are commonly associated with the drugs taken by a person under his medication, wherein the terms determine the known or unknown effects of the medicines on his body. Although, both the terms determine the after effects of medicines, they both are quite different from each other. In fact, the most basic difference between side-effect and adverse-effect is that during medication the side-effects of a given drug are known or can be determined, while the adverse-effects are unexpected and hard to determine. And, for safety measures, it is important to know the difference between the two terms. A ‘side-effect’ of any substance is defined as an effect that happens beyond the intended primary or chief effect of that prescribed drug. These symptoms or side-effects are a natural consequence of the chemical reactions that take place between the drug and the body. Also, these effects are mostly anticipated as studies are conducted before the entry of the drug in the market for general use. Though, even if a patient is unaware of these side-effects, doctors are very well aware of them. Also, there is nothing much to worry about, as these effects are harmless, require no medication and over in few days or even hours. Though, in some cases, the effects might be serious and may require intervene or treatment form the doctor to completely stop or reduce these side-effects of the medicines. The deadlier form of these effects is known as ‘adverse effects’ on the body, wherein the effect or reaction of a prescribed medicine is over and beyond the chief and desired action of that drug. These effects are unexpected by both the patients and the doctor, and may cause hamper in the procedure, medication or even the health of the patient. As a result, these effects are considered very harmful and dangerous for the patients. Be it ‘adverse effects’ or ‘side-effects’, both are damaging and risky for the human body. And, even though, latter is predictable form the former, they are hard to avoid. Though, adverse effects generally occur due to incorrect drug dosage and surgery, side-effects happen based on medication alone. Also, side effects are mild and self resolving in nature, whereas adverse effects are fatal and need to be treated or antidote immediately. And, occasionally, if the adverse effect is too serious, then there might be a need for hospitalization. While, adverse effects cannot be controlled, side-effects, on the other hand, can easily be controlled, and are traditionally used for beneficial and therapeutic effects. Now, further differences between the two terms can be read below in the table. 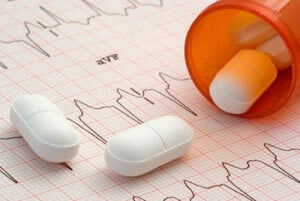 It is defined as an effect that happens beyond the intended primary or chief effect of that prescribed drug. It is defined as the effect or reaction of a prescribed medicine that is over and beyond the chief and desired action of that drug. They are temporary and resolve spontaneously. They are long lasting and need intervention by the doctors. It is expected effect by both doctor and the patient. They are mild and self resolving in nature. They are harmful and dangerous in nature. They happen based on medication alone. They happen due to incorrect dosage or surgery. Mostly, there is no need of treatment. They are used for beneficial and therapeutic effects. The symptoms can be predicted. They can turn out to be fatal for patients. Their effect can be reduced. The symptoms cannot be predicted.